Thanks for stopping by my full review of the Finish Line Network. I first heard about Finish Line Network from a few acquaintances in the network marketing/affiliate marketing space. A large percentage of people I worked with on other projects in the past were pretty gung-ho about this new high ticket opportunity (Finish Line Network). Since there has been so much buzz around it, I decided to look into it further and see what the fuss was all about. 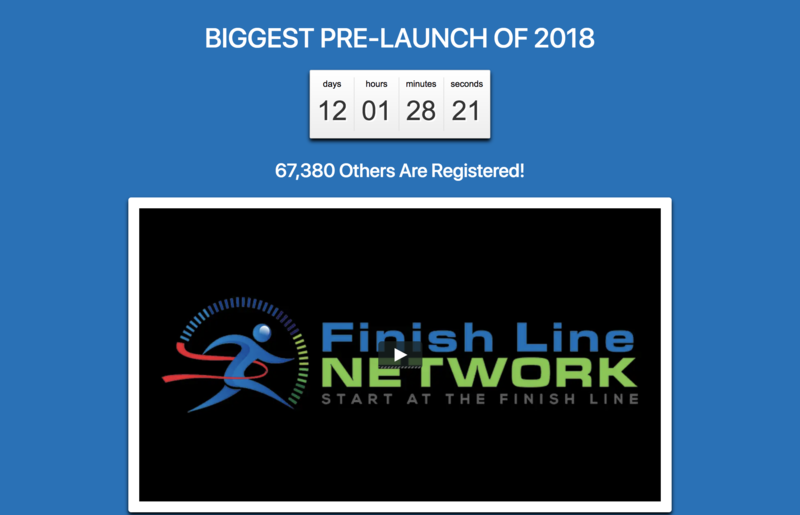 What is the Finish Line Network and does it live up to its name? There has been buzz around this launch since the beginning of August 2018. Being in the industry for about a decade now I can see through the smoke and mirrors. Most launches include rehashed products bundled together with a new brand name. In this case, I was skeptical when I kept hearing that this was going to be the biggest launch of 2018. Right now the Finish Line Network is in prelaunch but will be launching to the public in the next few days or so. Pre launches are designed to create a lot of hype and big pay days when the programs go live. At this point in my career I’ve reviewed hundreds of programs claiming to be end all be all to financial freedom. I’ve recently exposed Income League and eCom Hacks Academy amongst many others. The question remains, is Finish Line Network another hyped program you should stay away from? I took a look at the prelaunch video and it has your typical rags to riches story. The individual that started Finish Line Network had launched programs like traffic authority in the past. This was a red flag for me personally because TA was all about making money online with solo ads. I’ve always been against solo ads because you really never know what kinds of leads you are getting and if the seller is legitimate. Second, Finish Line Network is best for those that already have a big following and email list. I broke down the math of the compensation plan and you’re getting less than 30% commission in some cases (depending on the program you sell). There are plenty of other opportunities out there that allow you to make higher commission percentages on high ticket products. The people I see promoting this hard are the same people that understand the compensation plan. I often hear people saying “Don’t worry about the comp plan, just take massive action.” I disagree. If you’re running paid traffic definitely need to know your numbers. To add to that, you don’t want to spend hours a day at your computer to realize that when you make a sale, it’s peanuts in terms of commissions. I continued to watch the Finish Line Network presentation and it said the same cliche message. “This is a shortcut for making 6 figures per year.” If you’ve been educated from my past reviews you know that it doesn’t matter how good a system is, if you can’t drive traffic, you’ll never make any money. This is how you see through the BS and stand out above the noise. Also knowing that there is no secret when it comes to traffic generation either. It takes consistent daily action whether its tweaking a paid marketing campaign or writing a blog post. The video also states that the people that are successful online are not smarter than you, they just have learned something you don’t know. This statement definitely carries some truth. Personally I’m not smart but I am consistent. Okay, now let’s get down to the details. The Finish Line Network is NOT a scam but they do some things I consider to be unethical. For example, they state that you can make 50% commissions on each sale. What you may not realize is that you only get 50% OF the original 50% commission. In other words you have to share it with the individual that sponsored you. To add to that, your 50% is cut even more when a portion of the money goes into what’s called a bonus pool. To get your money back from that pool, you have to qualify and sale a certain number of products. With that being said, this whole biggest launch of 2018 hype is nothing but a way for people that have large audiences to make a lot of money. The real way to make money online is having the right mindset, the right expectations, the right training, AND the right system. This is simply another shiny object to distract you from the real objective. How Does Finish Line Network Work? They taken Traffic Authority from years ago along with a smartphone app known as OSP and thrown them into a site known as Finish Line Network. Did a little branding work and ta-da, you have a program. When they go live they will have other products available. Some I can see the value in while others will be outdated. I like that they will do live trainings to keep people up to date with what’s working in the industry now. But they’ve also got an email marketing product. In case you aren’t aware, email marketing is dying a slow death and will be obsolete in the next couple of years. Here’s a screenshot of one of the videos I watched about the products inside of Finish Line Network. Sales funnels, Mobile App (OSP), retargeting, training, and a community. 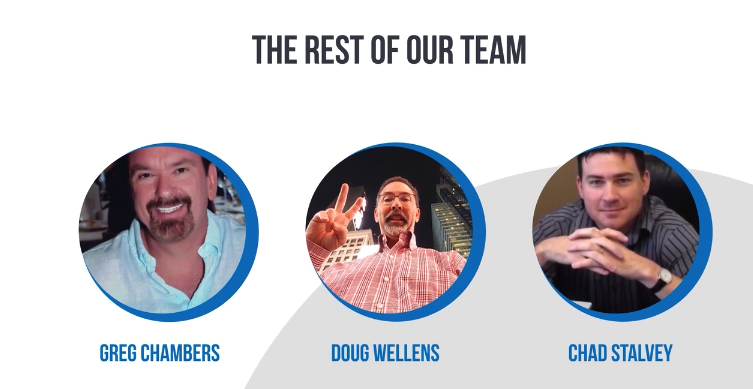 This is what you get when you combine the owners of Online Sales Pro with the owners of Traffic Authority. The app claims to allow you to run your whole entire business from your smartphone. We are getting closer, but we are not quite there yet. There is nothing groundbreaking or technologically advanced about this app. It’s a simple cookie cutter app that gives you marketing material to share online and access all your social media platforms all in one place. This app is not going to allow you to make the sales you think you’ll be making. Who Else Is Involved With Finish Line Network? Greg Chambers, Doug Wellens and Chad Stalvey. These are all big traffic guys, and claim to have helped a large number of people in the online space. While it may be true, I’m not educated enough on where these guys get the data to sell the traffic to people like you and I. 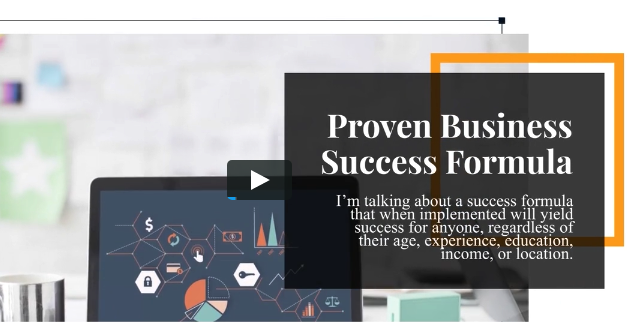 Part of the video goes on to talk about Empower Network and how it was many of the companies they helped to become successful. All of the business mentioned in the video have shut down or gone out of business. Although, it may not have been because of the men named above. My belief is that they launched this new company not knowing alot about the landscape of the internet right now and how to market. Many owners get so far removed from the trenches they can’t create products themselves because what made them famous years ago doesn’t work today. I’m not affiliated with Finish Line Network so let me give you my honest opinion. If you already know how to market online and build a brand you can definitely make some good money with Finish Line Network. But if you aren’t driving in consistent leads and sales then you should focus on programs that will teach you proper marketing. I believe that if you were to take away the business opportunity from Finish Line Network, it’s products still won’t teach you what’s working today when it comes to marketing. Go with someone that’s in the trenches RIGHT NOW getting result. If you’re a newbie at this game, Stay away from FLN. It’s another shiny opportunity with so called “advanced tools and technology” but won’t yield you the results you’re looking for. Instead of wasting your time and money on bogus outdated programs, check out my top recommendation below. It’s rated #1 out of hundreds of reviews I’ve personally done across my YouTube channels and blogs.